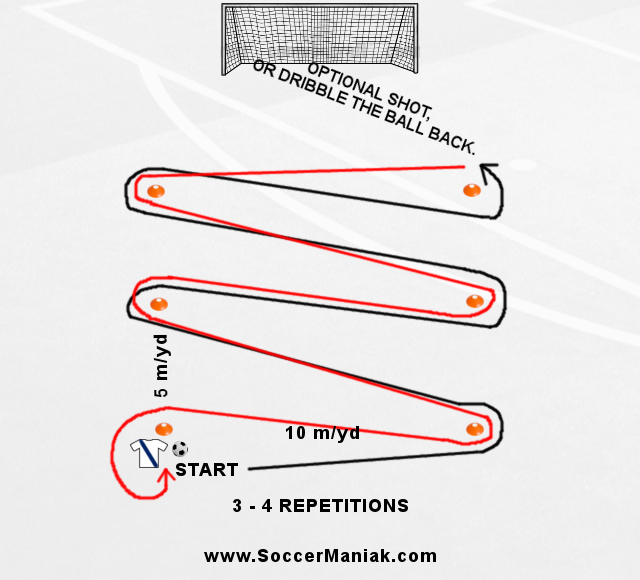 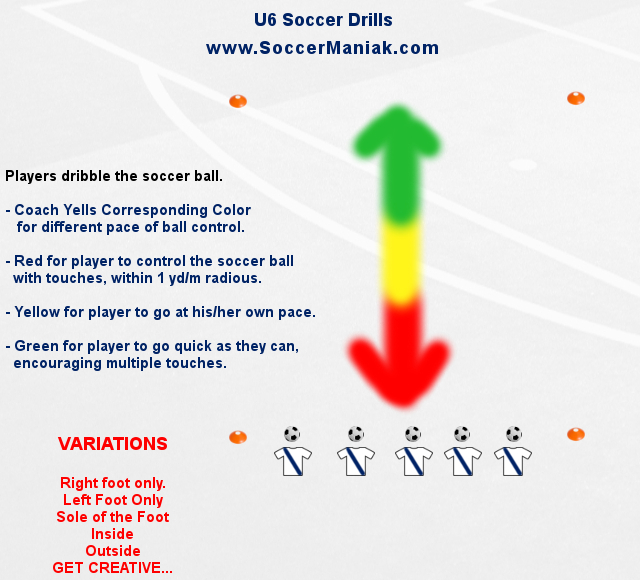 Beginner soccer drills are based on developing coordination, and getting familiar with the surface of the ball. 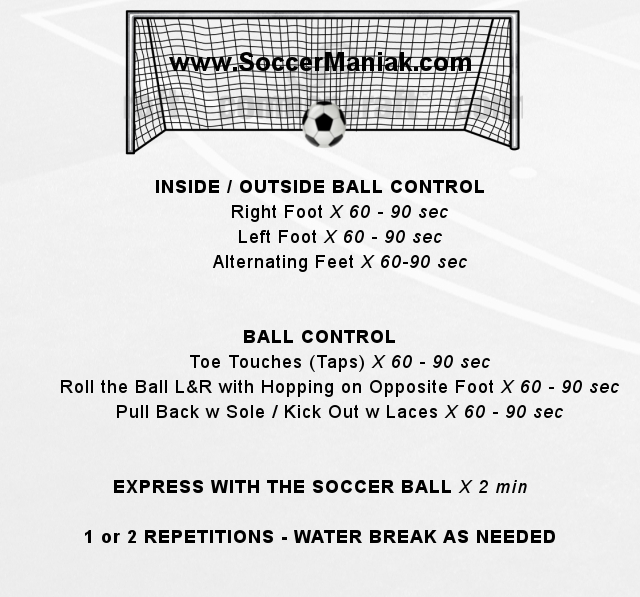 Beginner soccer players may, or may not, have good balance and coordination, which helps in learning how to control the soccer ball using the feet. 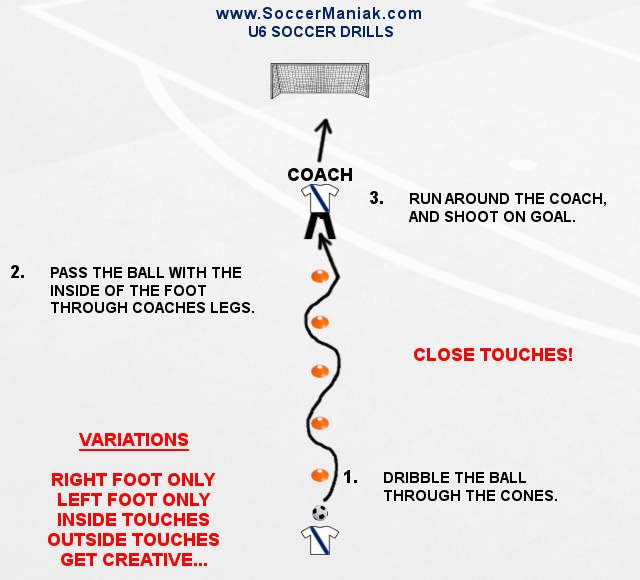 Soccer drills for beginners are best done individually, because the game itself is a great coach. 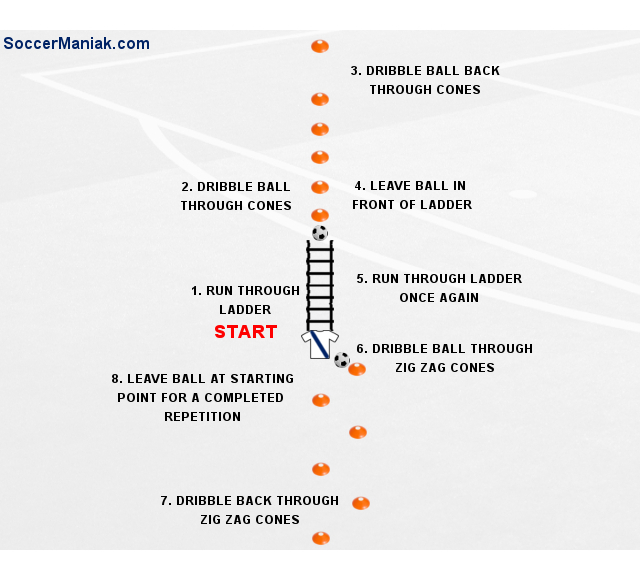 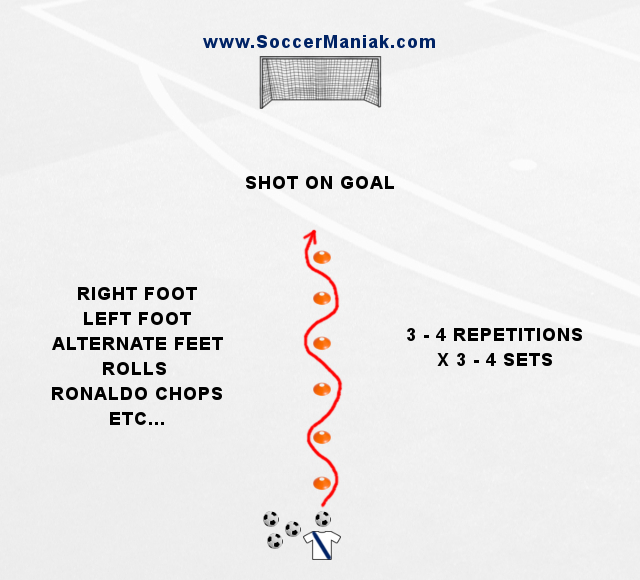 Finding a wall, garage, solid fence, or investing into a rebound goal is a great way to get started with learning soccer skills. 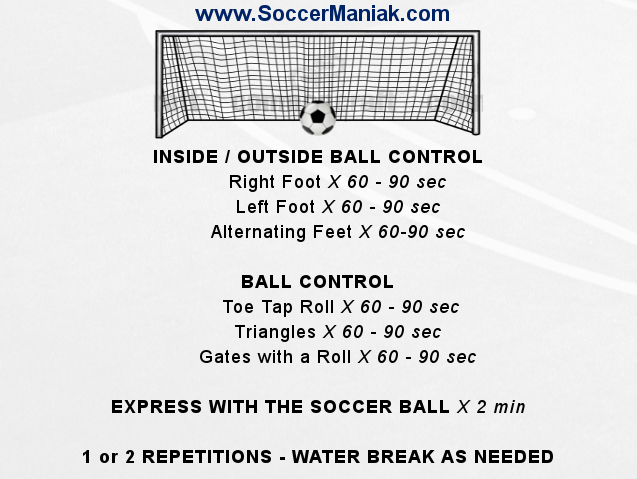 Having something that can act as a rebounder can present hours of fun training environment for beginner players. 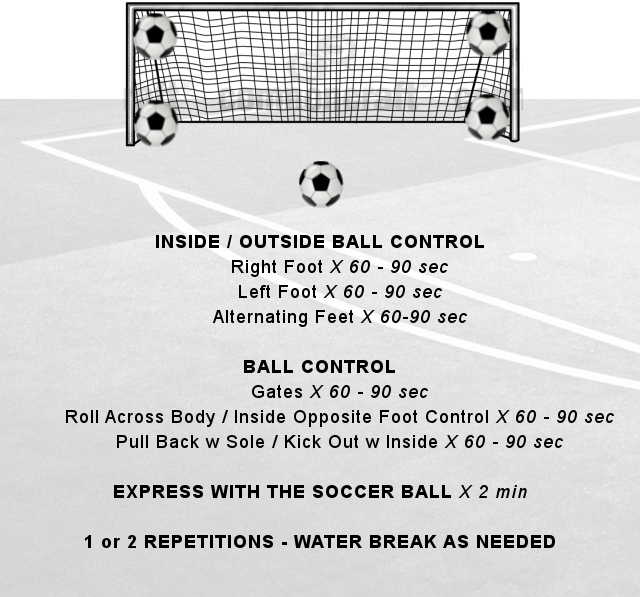 Something that acts as a rebound wall is a great way to get 100's of touches on the ball, and hours of fun. 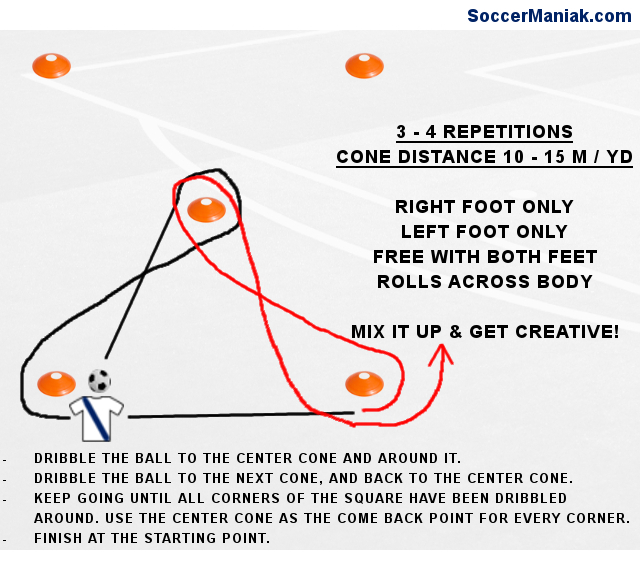 Soccer, like all other sports, takes repetition and many hours to learn and build a relationship with the ball at your feet. 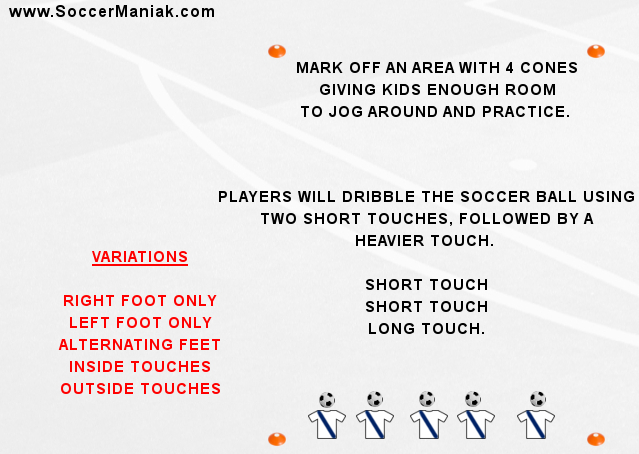 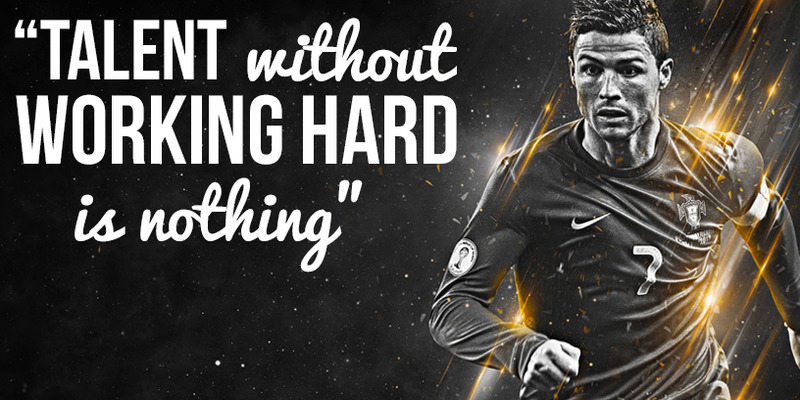 More touches lead to better skills and control. 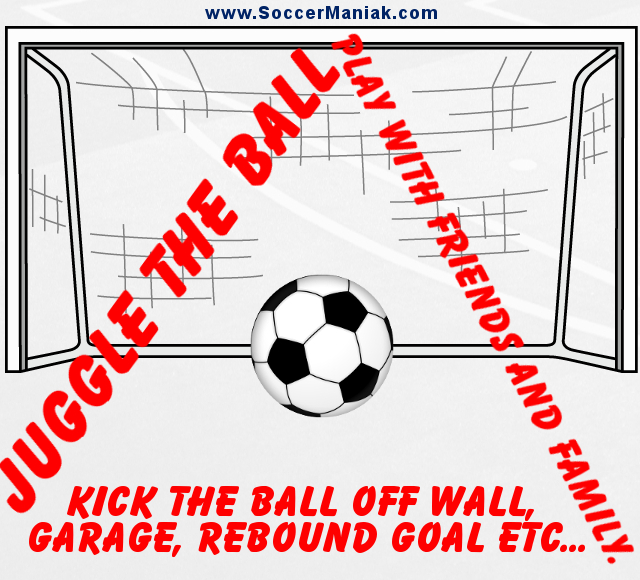 Playing with friends and family, juggling the soccer ball, kicking it off the garage door, wall or rebound goal is what improves touches and flair on the ball. 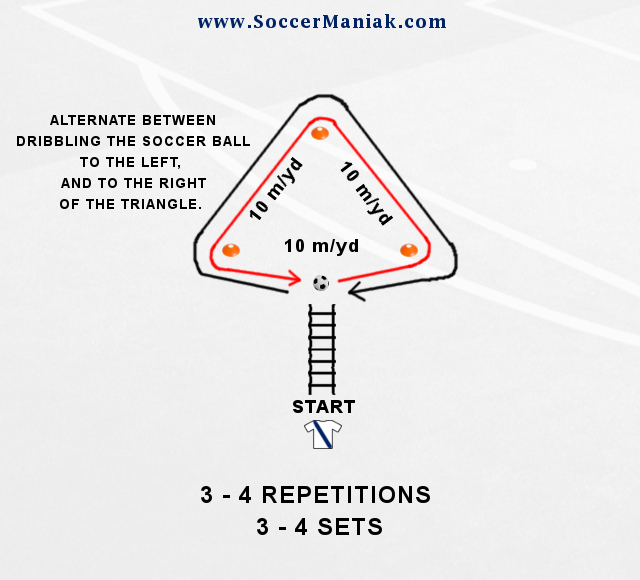 This is a fun game for young beginner soccer players, and it can be adapted in the backyard, or on the field with one or more players. 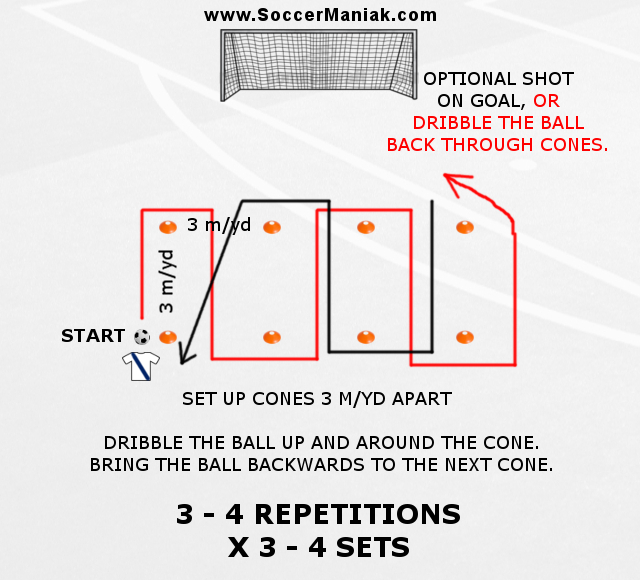 Mark a square with 4 cones, or whatever is handy in the backyard. 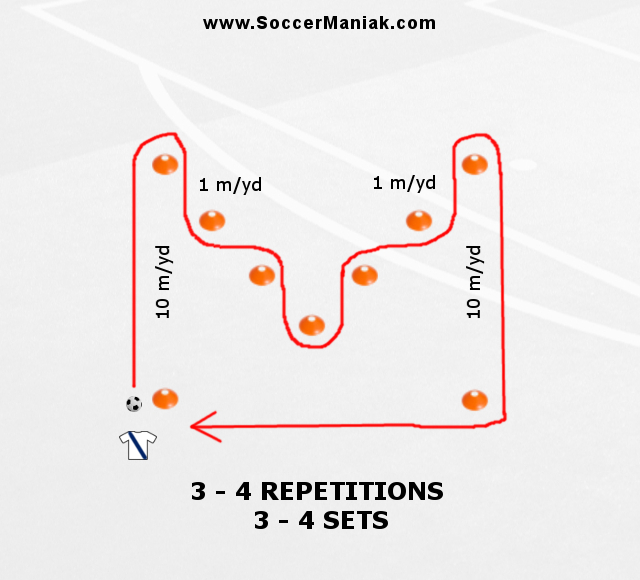 Make the square smaller for individual players and bigger for small or large groups. 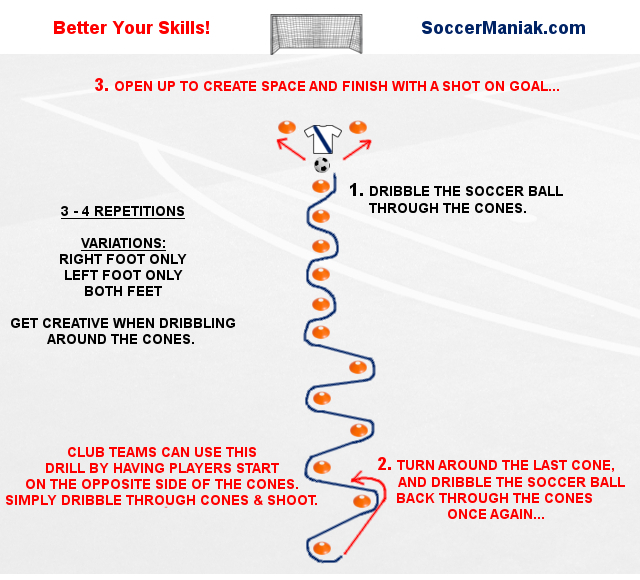 Preferably have 2 or more soccer balls per player. 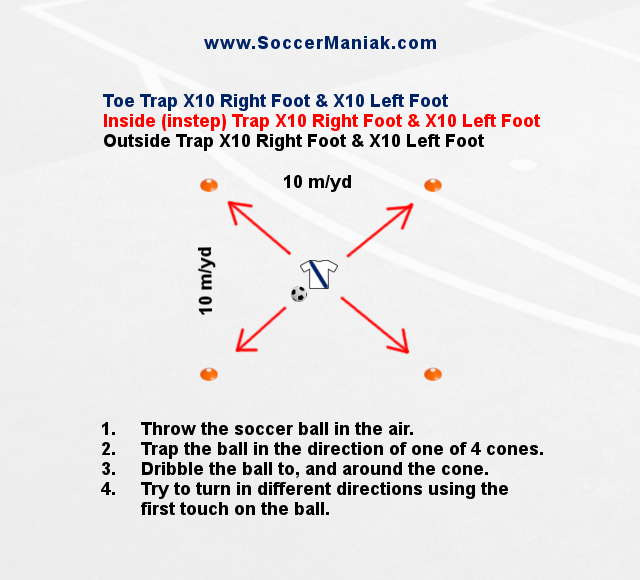 Coach or Parent will be the target inside the square, as player/s try to kick the ball at him/her. 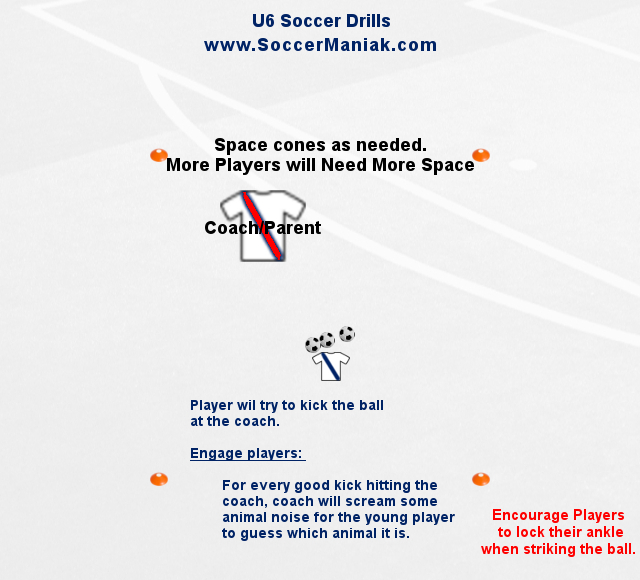 Make it engaging so that every kick counts for the coach/parent to imitate some animal so the kids can guess which animal it is.